Another great thing about autumn. You get to start drinking heavier beers. Today I’m looking for what might be my favorite type of beer: the barley wine. Barley wines run the rail right between strong ales and stouts. It does not have the viscosity of a stout but certainly has more weight than a strong ale. You can find more bitter barley wines that have a blast of citrus from a strong hop profile or you can find very malty barley wines that definitely taste like they should be a porter/stout by label. This beer got mixed reviews and is long retired. Fortunately I have a bottle in my cellar (i.e. : the pantry) whenever I’m ready to bring this bad boy out of retirement. 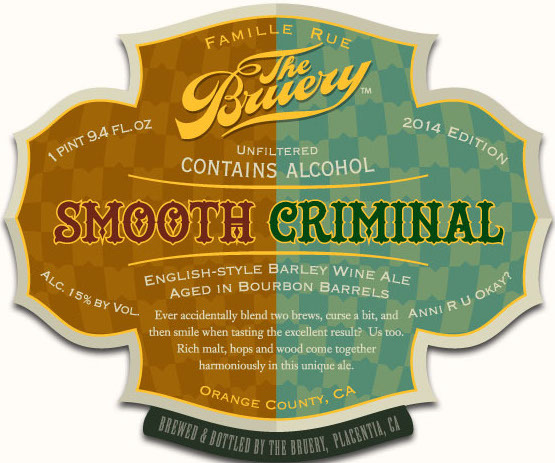 An accidental blend of the Bruery’s Anniversary Ale and Saison du Lente, it’s a heavy, hot beer that’s been cut with a dry, carbonated touch. While public opinion may not be 100% positive, this has been one of my favorite Bruery creations I’ve had the opportunity to try. Sweet smells, mostly caramel, vanilla, and a hint of coffee overwhelm the olfactory senses. But due to the presence of the saison, the mouthfeel is smoother and lighter, with the distinct carbonation you get from a farmhouse ale. The strong, dark scents you caught when smelling the beer remain but are balanced out with the dryness of a saison. This is a unique beer and a drinking experience not likely to be replicated any time soon. Consistently lands in my favorite beers every year, Sucaba is Firestone Walker’s brown box showing in the world of barley wines. I would recommend aging whatever bottle you get for a minimum of a year but there’s no shame in not being able to wait. Aroma is very malty with hints of raisins and prunes. Flavors are dark chocolate, sweet bread, vanilla, and a hint of dried fruit. A touch of heat from the alcohol. Pretty light mouthfeel for the heft of the flavors and alcohol. A complex beer, I never get tired of Sucaba. Arguably my favorite of FSW’s line up and a must during its yearly release. 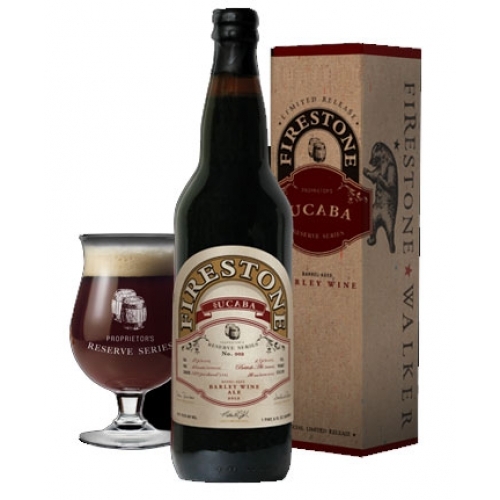 Heavy on the malt and heavy on the hops, this is a true west coast barley wine. Mixed reviews from the aging process, it’s fortunate that it’s so good fresh. Nose is sweet and malty, much like toffee. Despite not being the hottest beer on my list so far, you get the alcohol in the nose. Flavor is sweet and malty that’s cut with a nice fragrance of hops. Surprisingly little bitterness. Almost praline-like in flavor. A really solid brew that is worth seeking out. Easy tasting but packs quite the punch, a strong showing from those weirdos in Portland. I’ve never claimed I don’t have a bias and when it comes to beer, I am a Bruery homer. But I don’t care. 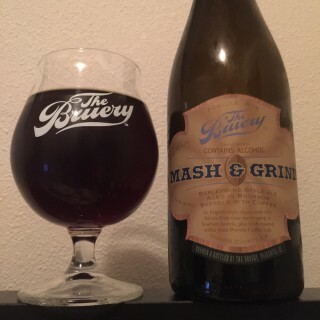 With a second appearance in my five favorite barley wines, I bring you Mash & Grind. A spinoff of one of their yearly mainstays, Mash, I’ve always felt this variant provided a more interesting and complex drinking experience. Nose is coffee heavy with some heat from the alcohol. Hints of vanilla and bourbon. The taste is very much coffee forward – thank you Portola Coffee Lab – and transitions into a warming caramel middle. Finishes with the bitterness of a very dark chocolate. 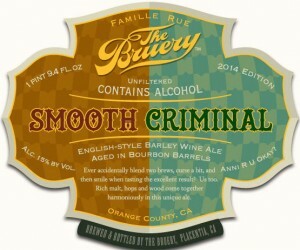 As always, the Bruery provides you with a unique beer experience with their creativity and collaboration. Well done good sirs, well done. This beer is a beautiful thing. Wow. What a great beer. Smoky, oaky, strong, complex, delicious… this beer is amazing. 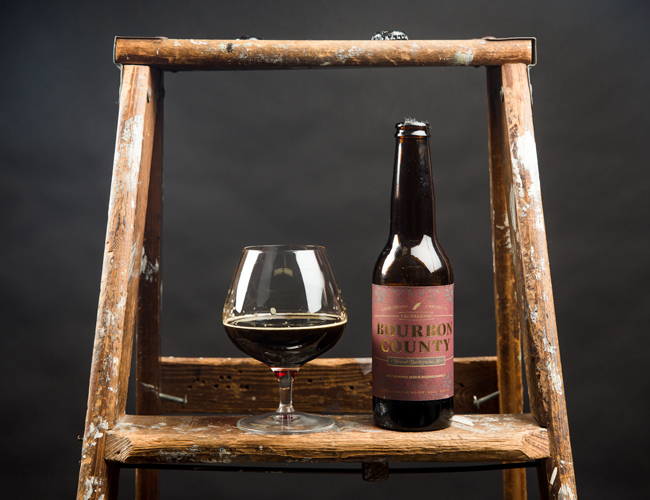 A barleywine that has been aged in the barrels of their Bourbon County Stout, this remarkable beer combines the earthiness of an English Barleywine with the coffee/caramel flavors of a rich stout. A robust beer, this thing could be a meal by itself. Very full-bodied. Although the bourbon and vanilla are the strongest flavors, subtle notes of spice and fruit can be detected in the finish. Seriously, what a great beer. Yeah, there’s not much more to add than that. If it’s available, drink it. So there you have it, my five favorite barley wines. There are plenty others out there that I would recommend but for me, these have provided the most enjoyable drinking experience. They aren’t all that easy to get but all are worth a try. So now that autumn is in full swing, I think it’s time for me to crack open a beer (barley wine, of course) and enjoy some NBA hoops. Drink safely, drink strong.